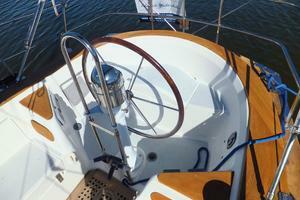 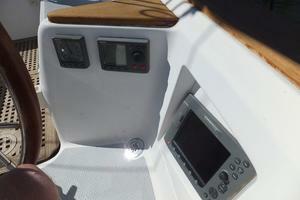 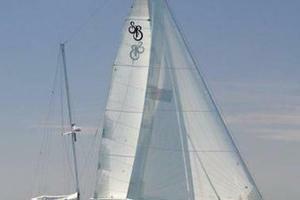 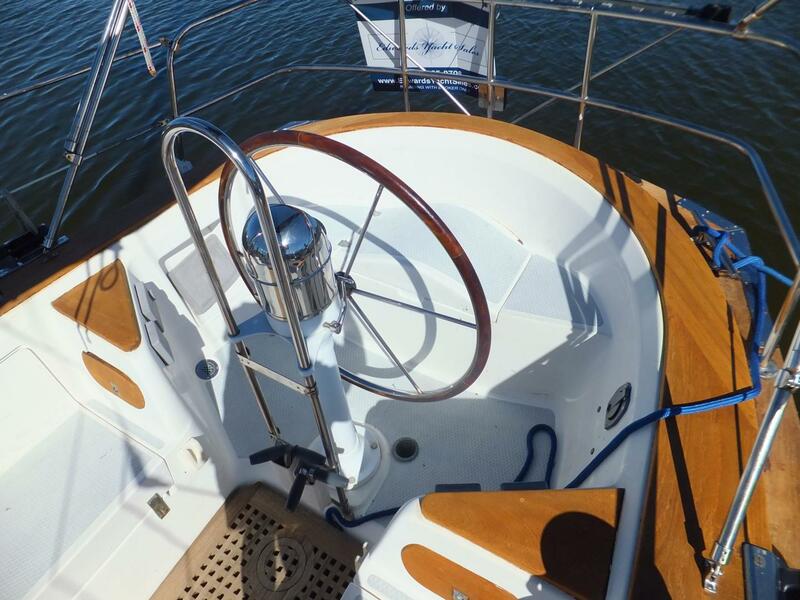 The Shannon 50 is a world class cruising/sail boat. 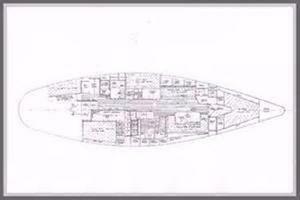 Designed by Walter Schulz, and built in the U.S. 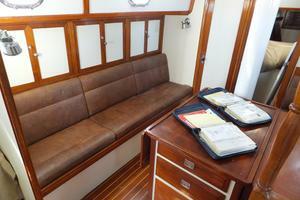 The Shannon's have an excellent reputation as a deep blue water cruising boat. 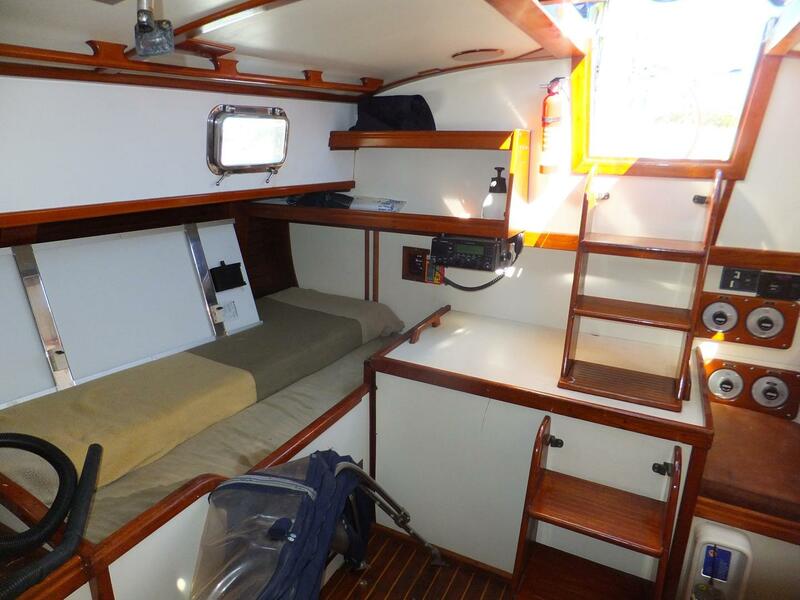 A very roomy and spacious interior. 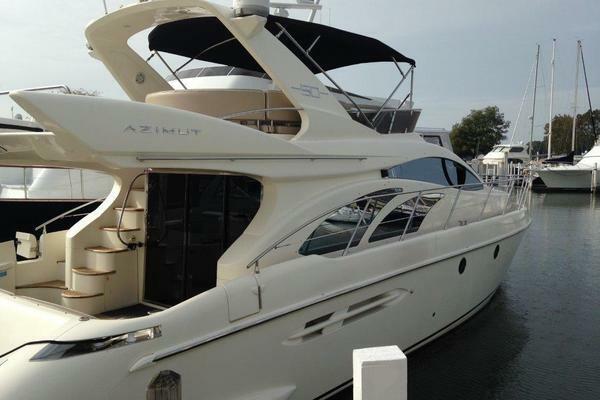 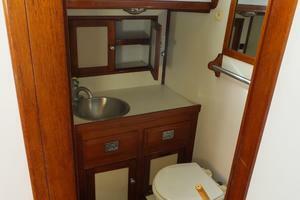 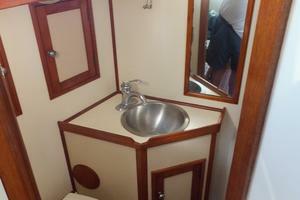 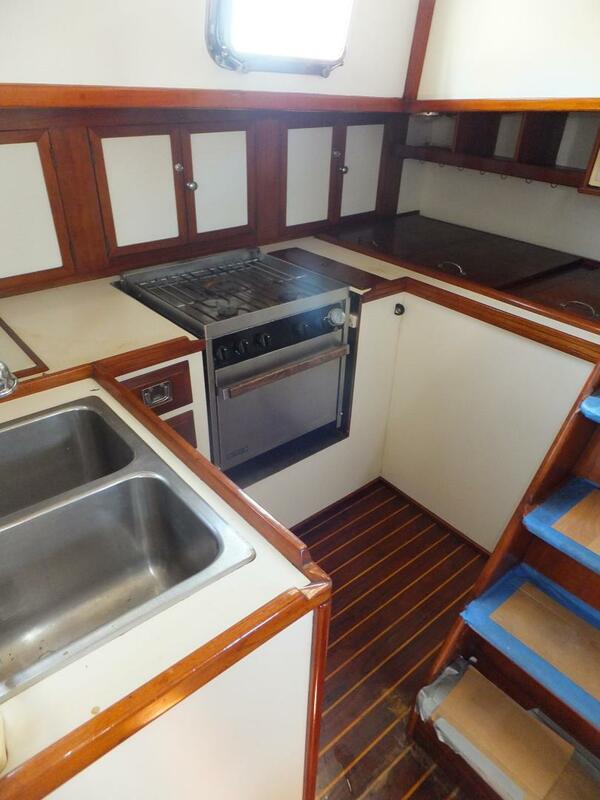 Ideal for the full time live aboard. 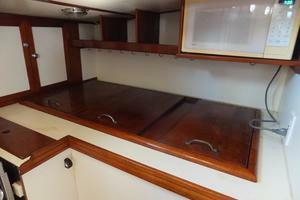 There are numerous lockers, drawers and shelves for storage. 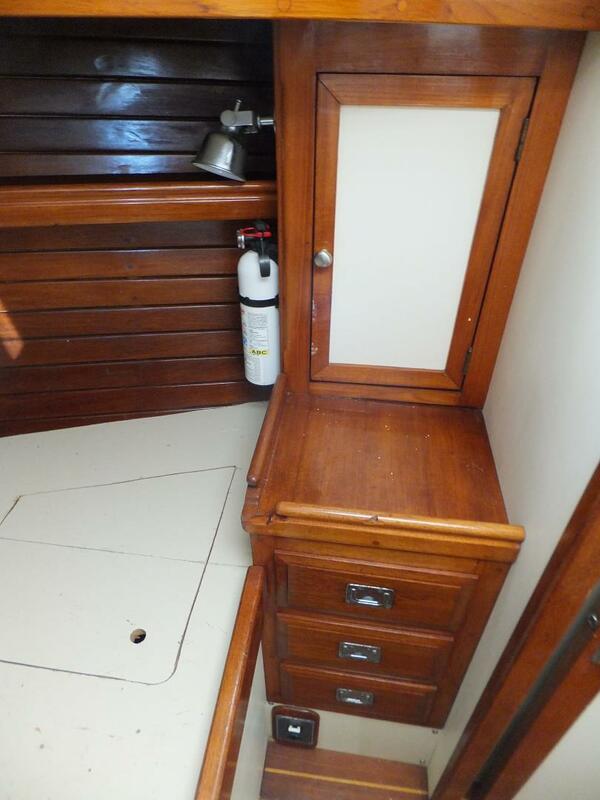 Outboard of the main salon backrests are multiple deep storage compartments. 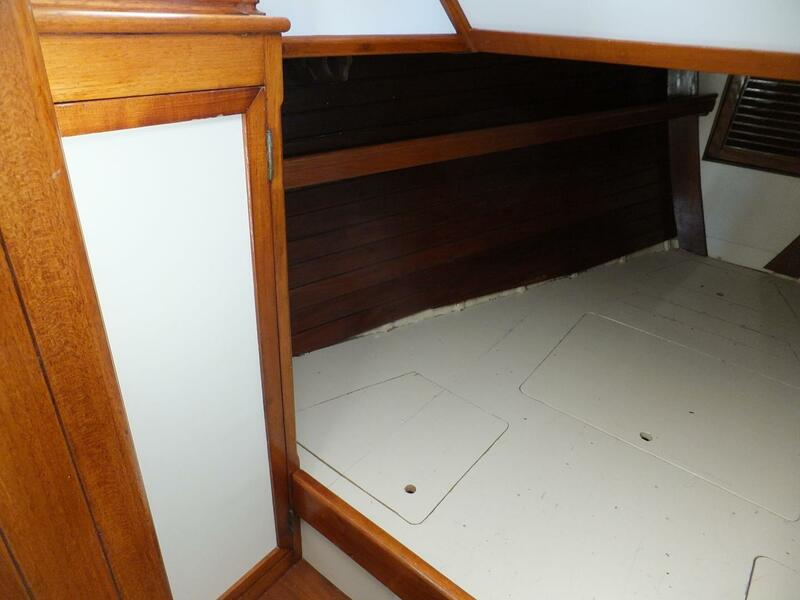 Above and behind the salon settees are pairs of lockers with shelves between. 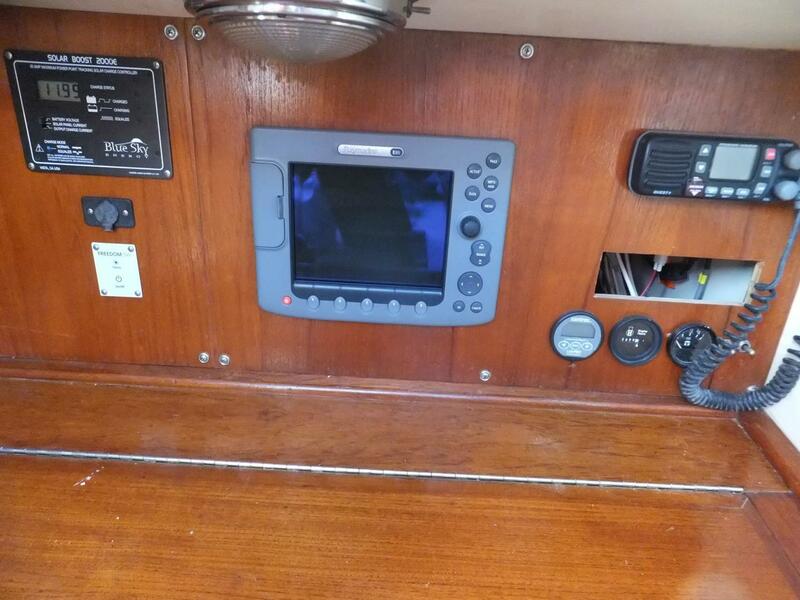 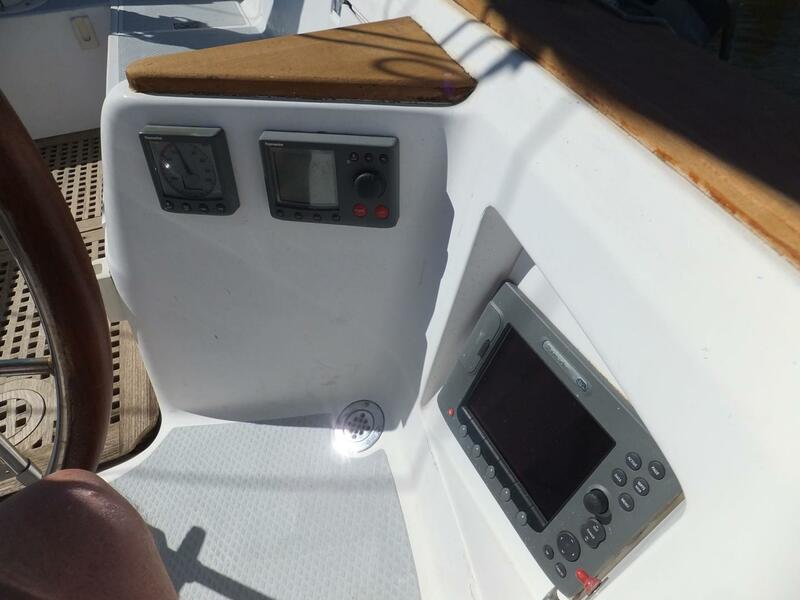 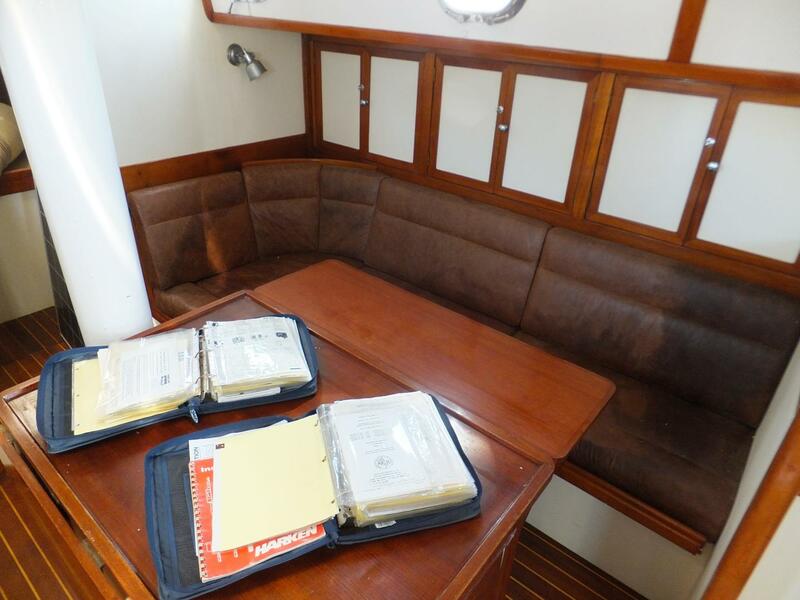 The navigation area, with hinged tabletop, has storage drawers under, and the radios and instruments are flush mounted above. 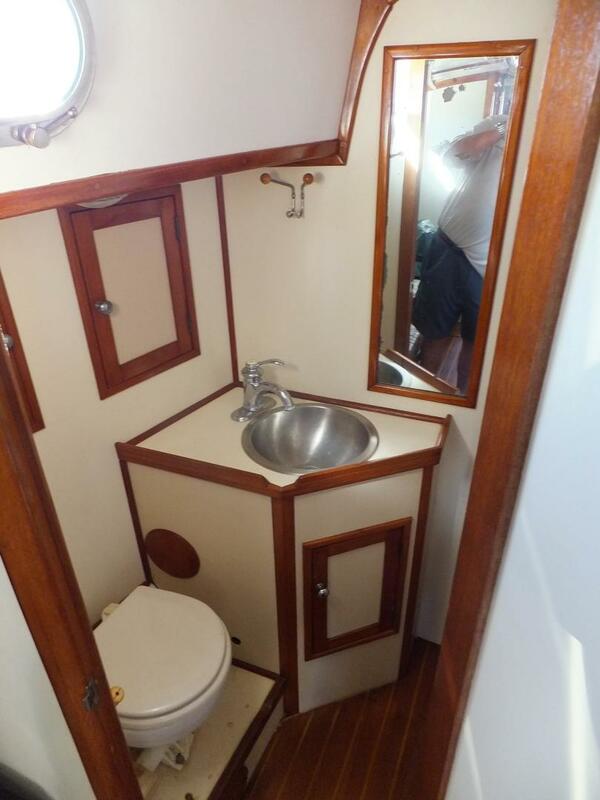 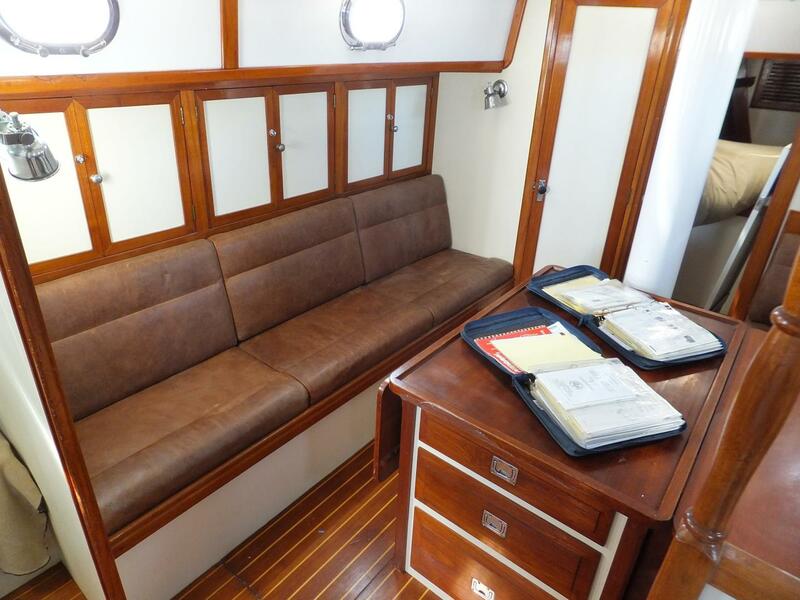 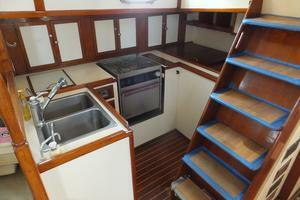 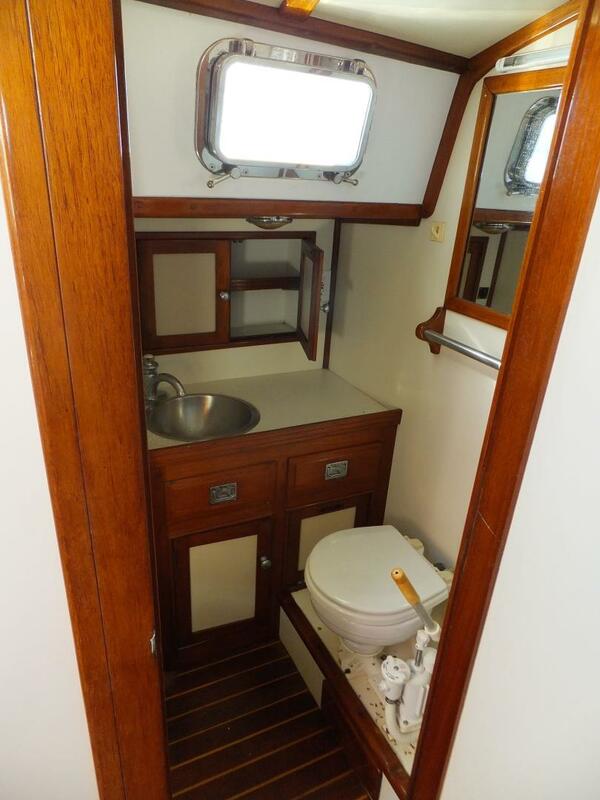 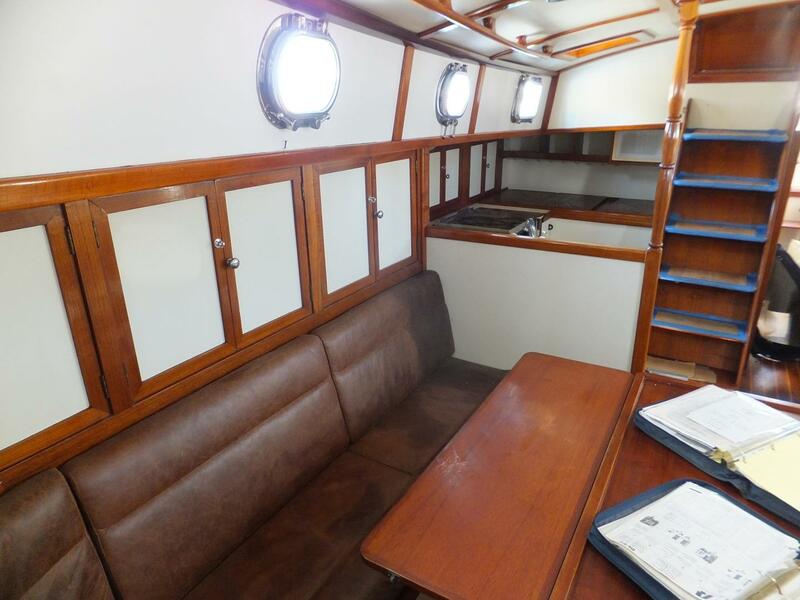 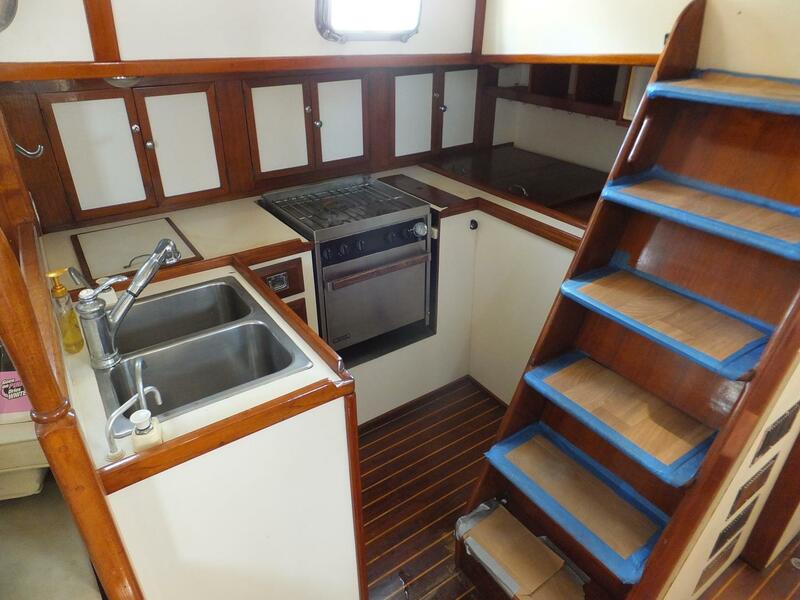 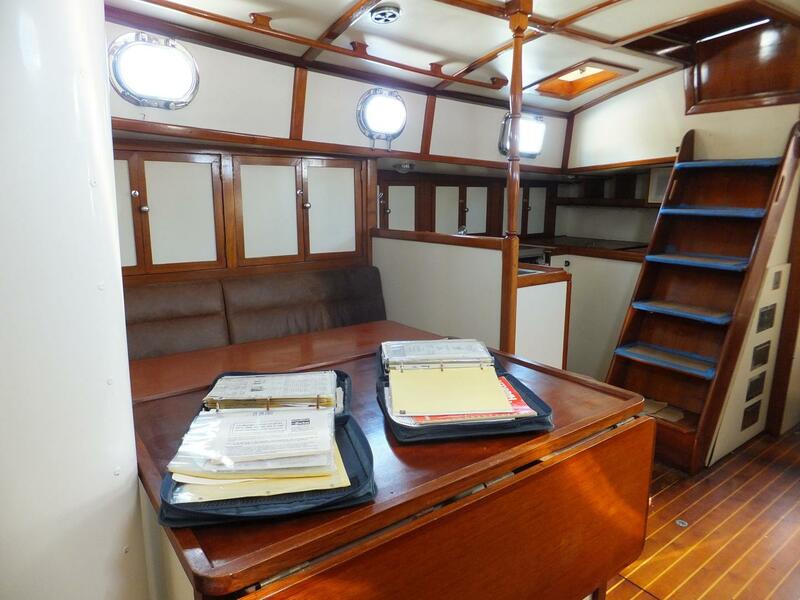 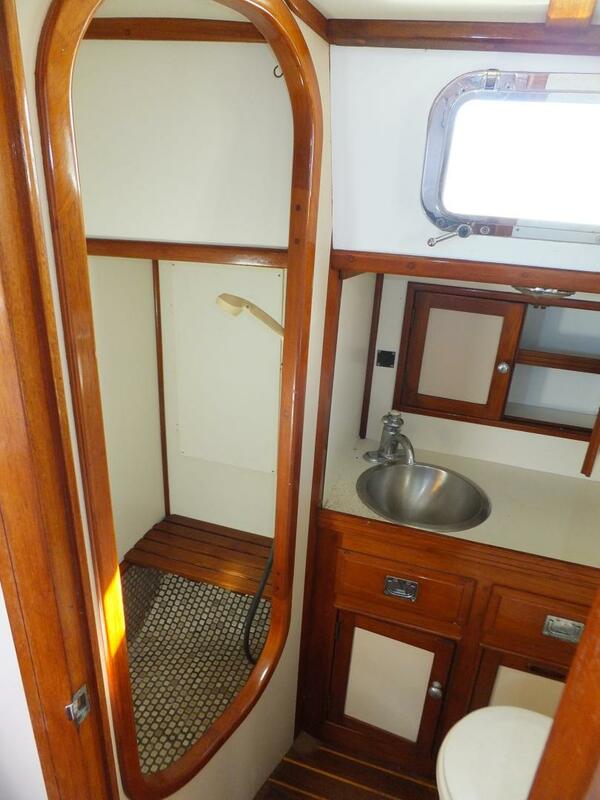 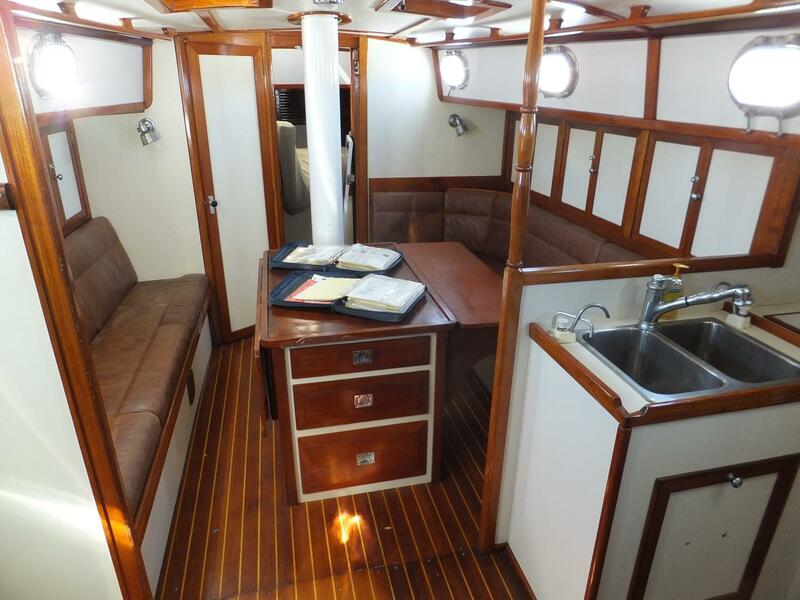 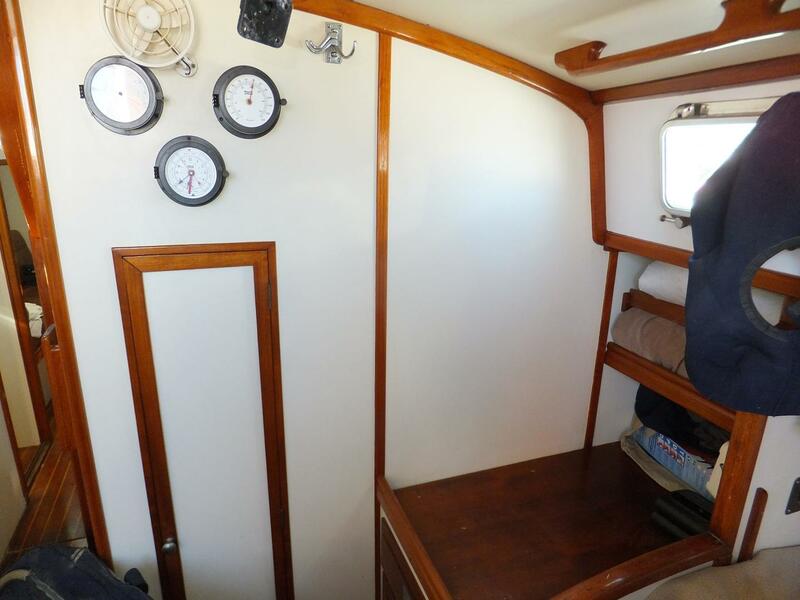 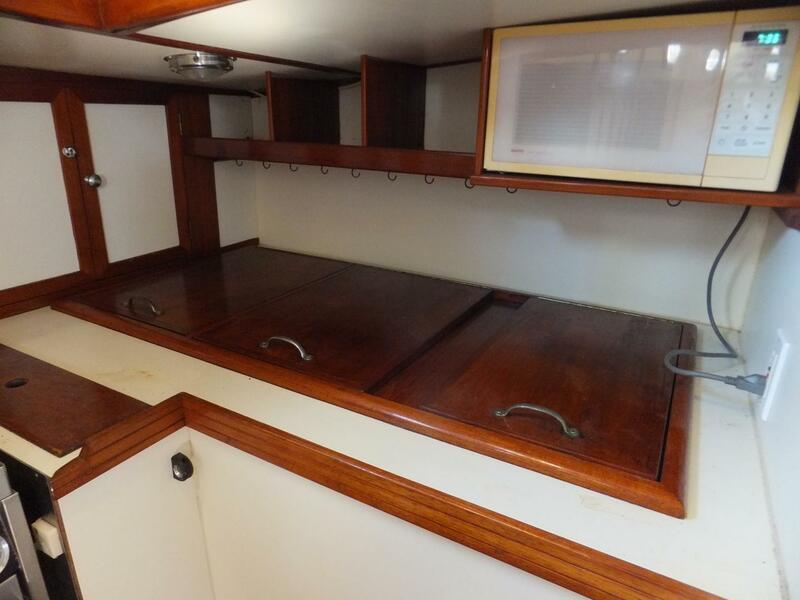 U-shaped galley with plenty of counter space and excellent natural light and ventilation from two large opening ports and midship companionway. 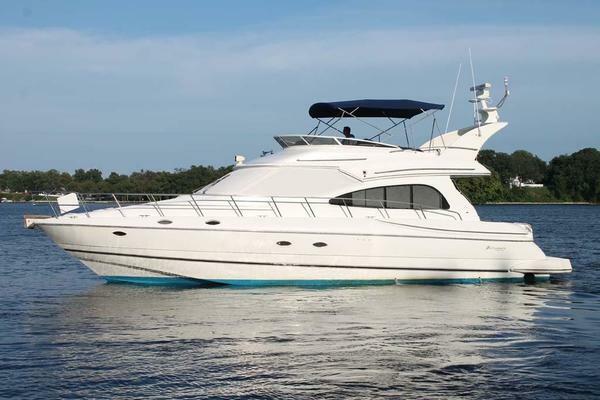 La Meghan was refited in Ft. Lauderdale by Global Marine in 2010 due to a lightning strike. 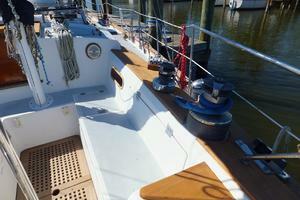 Perkins 4.236 85HP, Naturally aspirated. 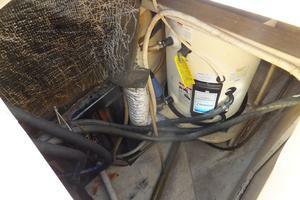 Fully serviced less than 40 hours ago, fluids, filters,etc. 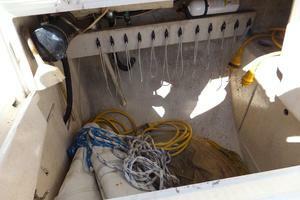 Head was removed and gone through, valves adjusted, new lifter and rocker. 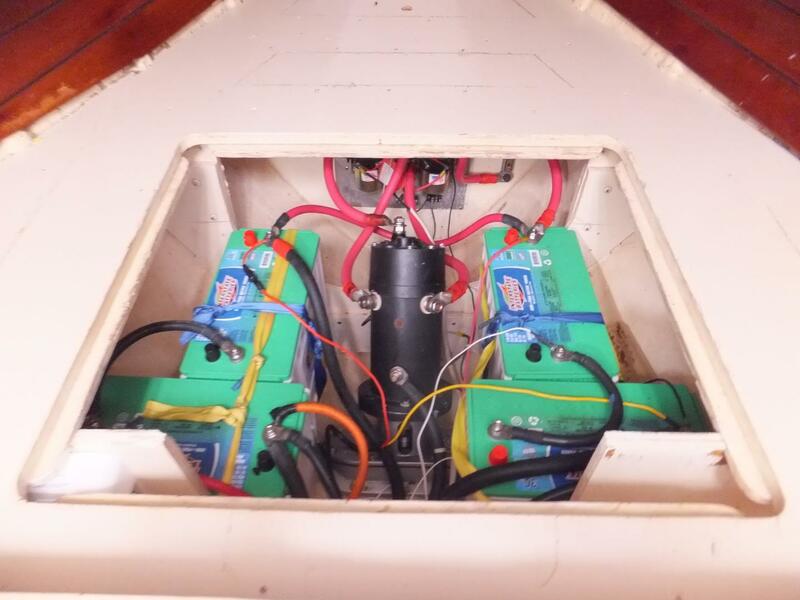 Runs well, no issues. 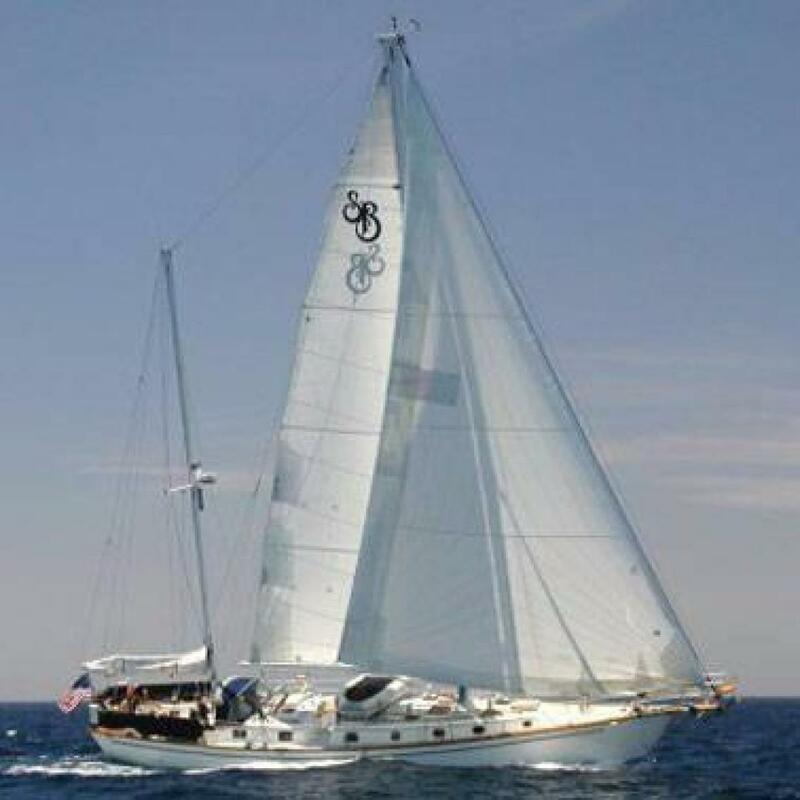 Full disclosure, In 1992 she was had a minor grounding in the Pacific Northwest. 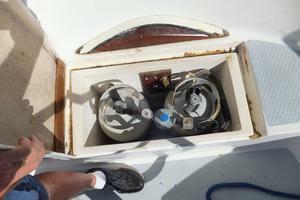 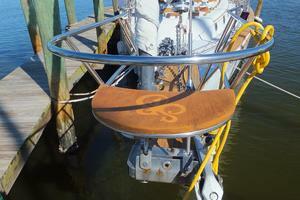 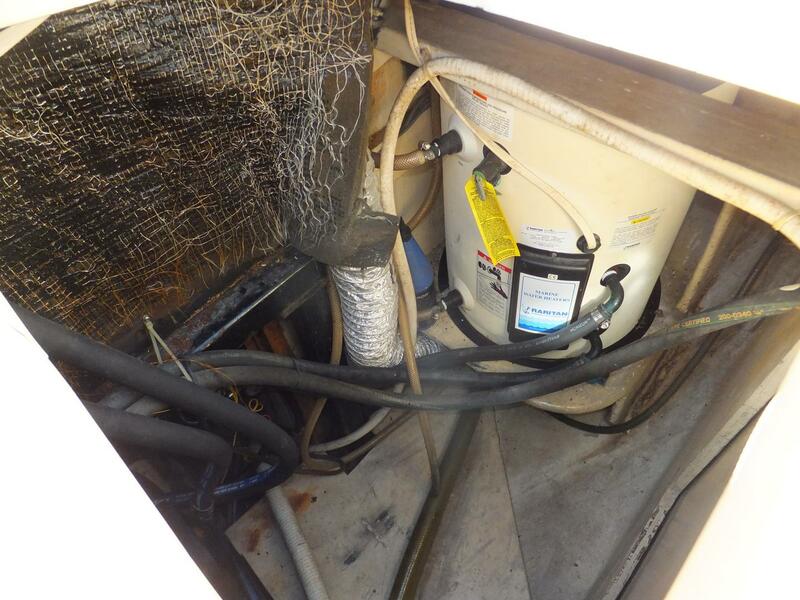 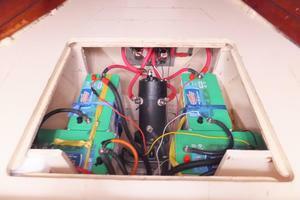 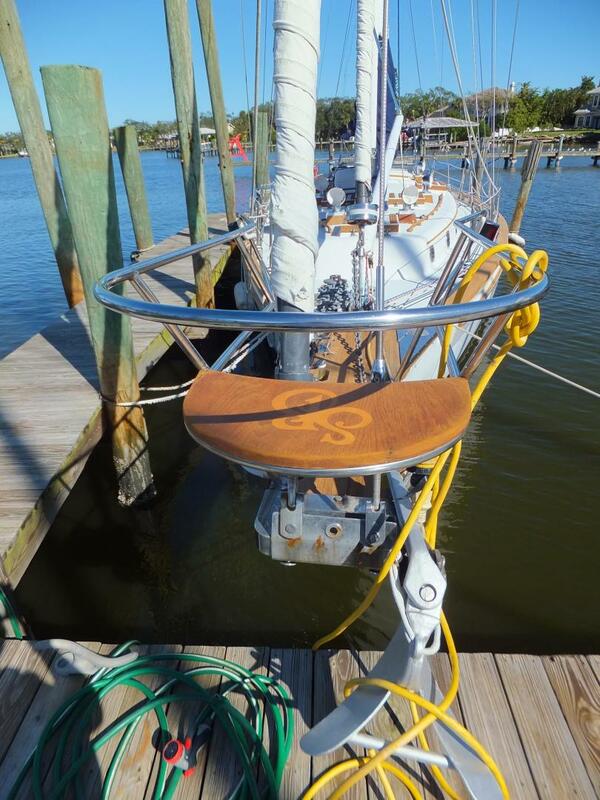 When she was improperly pulled off, her skeg was damaged and she took on water.. 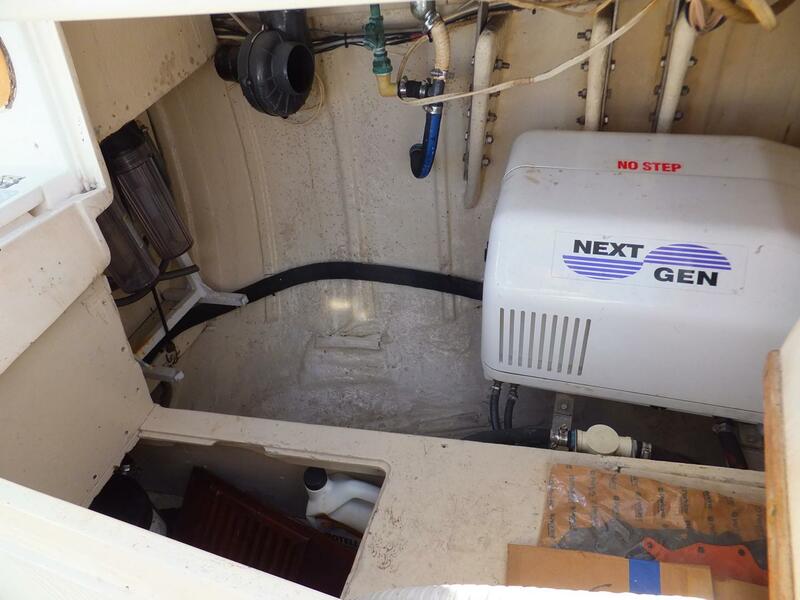 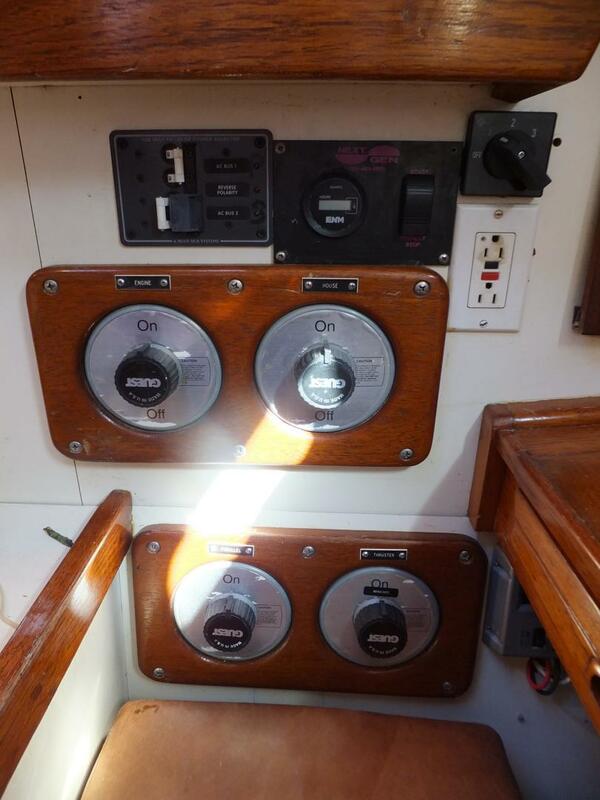 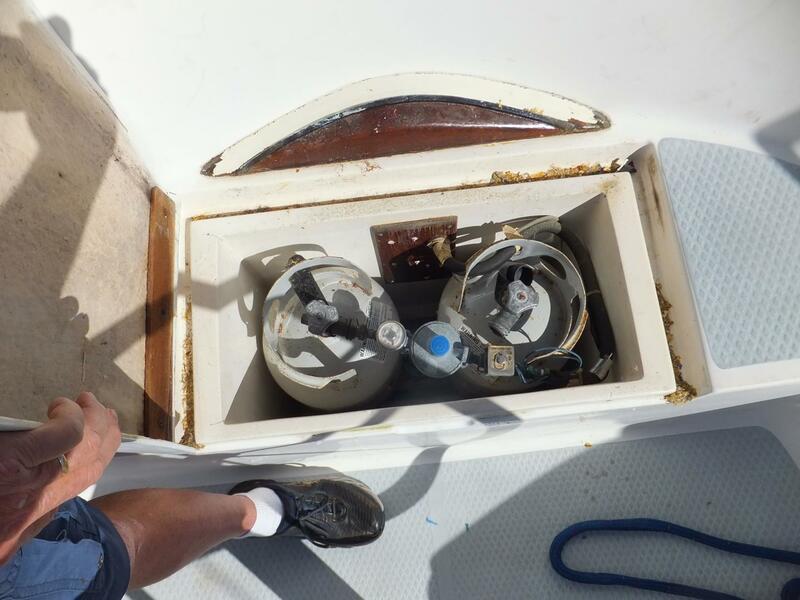 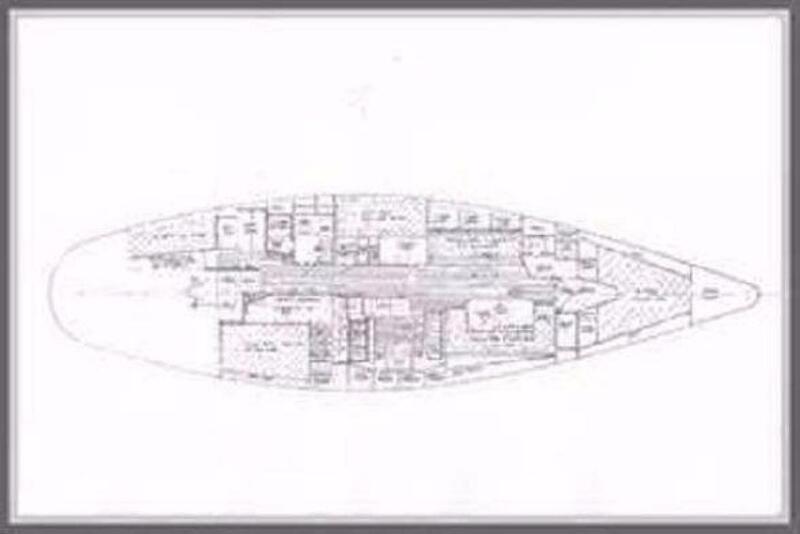 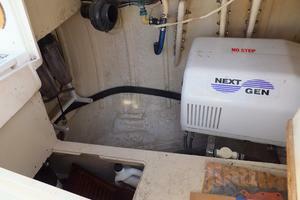 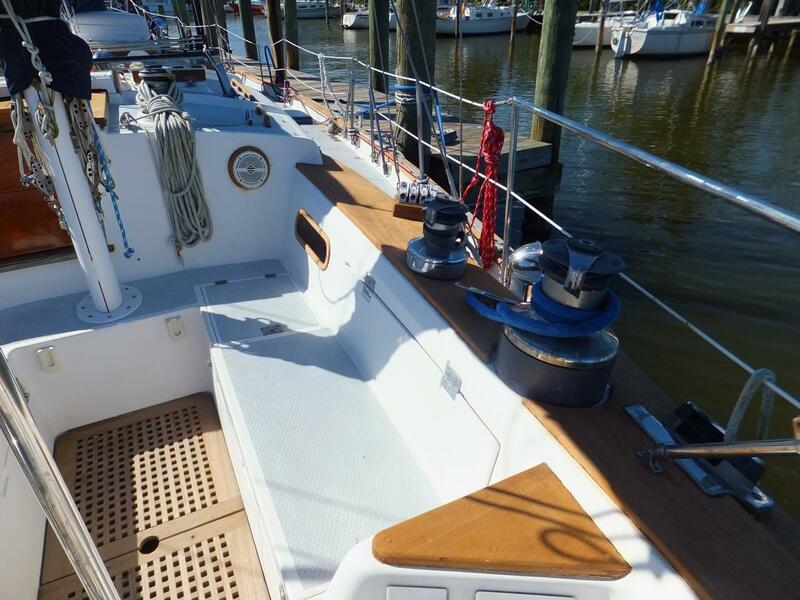 While there was no damage to the hull, deck, mast or rigging, her wireing, machinery and electrical panels had to be replaced and the bulkheads refurbished. 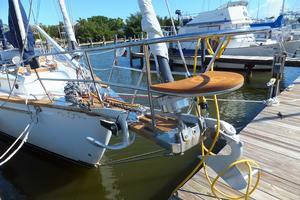 In 2009 she suffered a lightning strike and was refitted by Global Marine in Ft. Lauderdale. 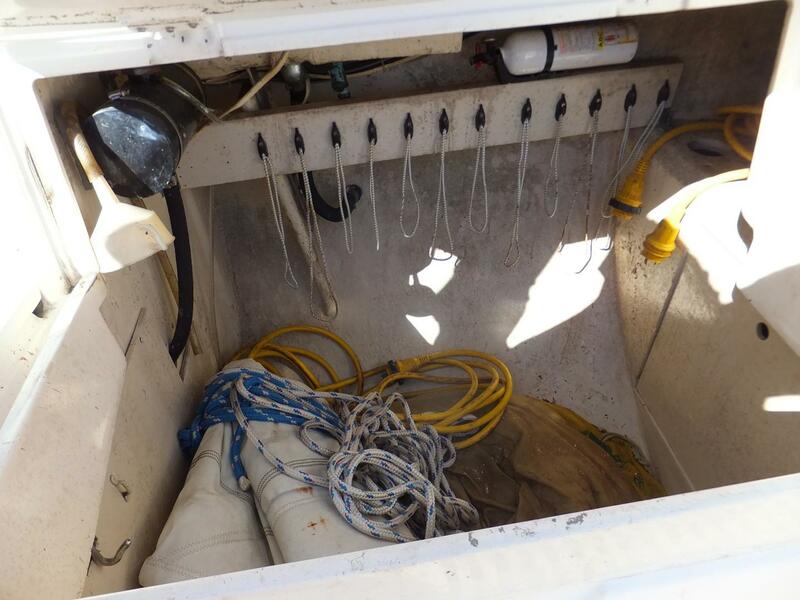 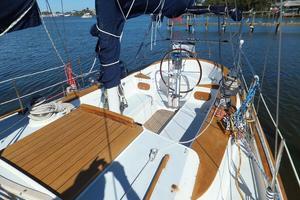 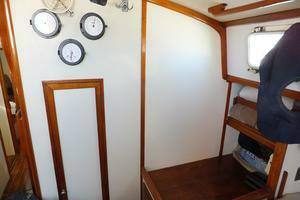 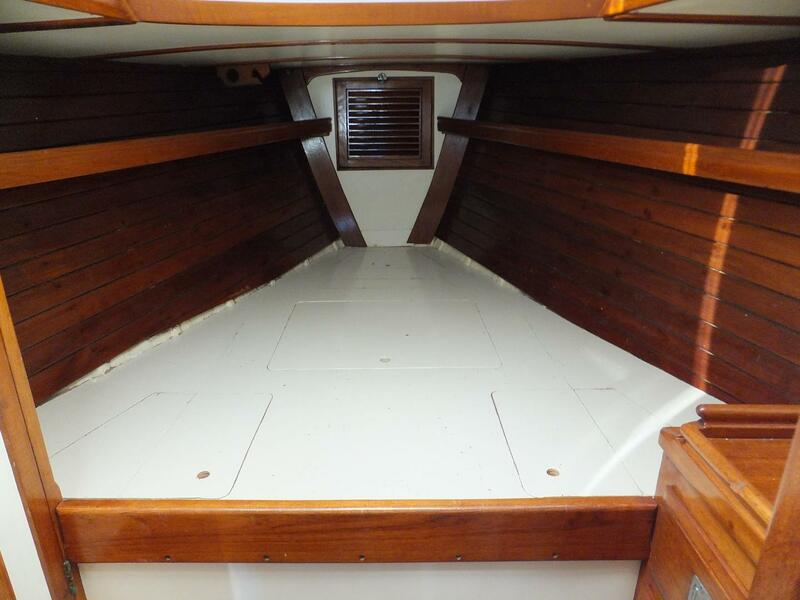 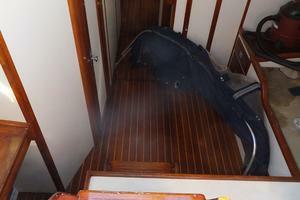 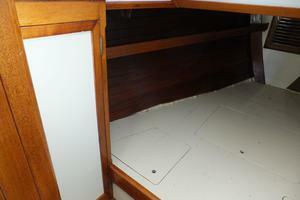 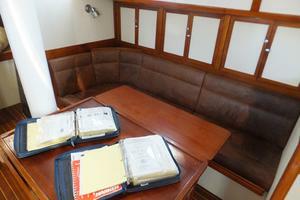 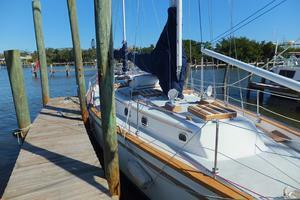 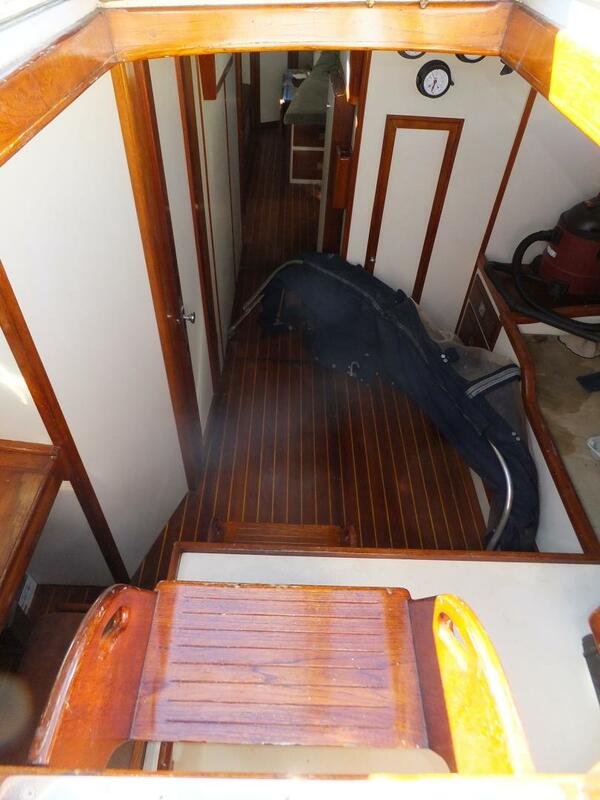 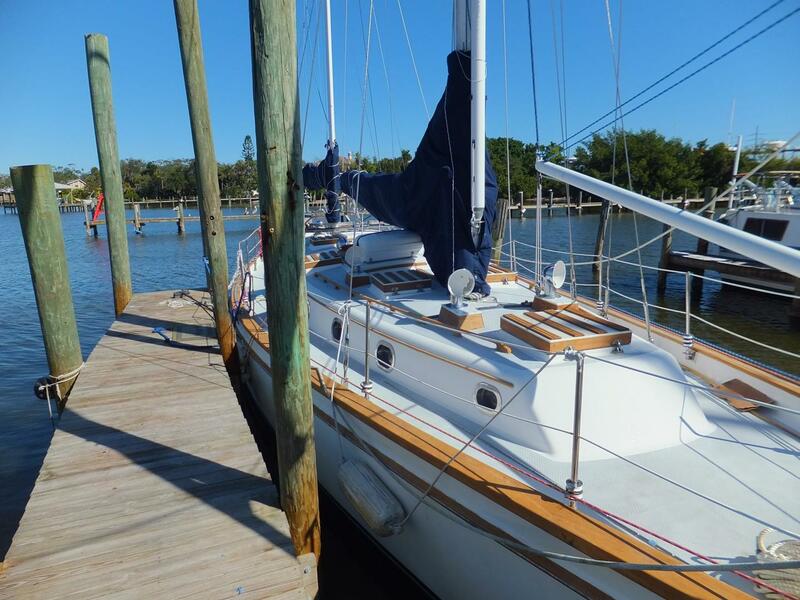 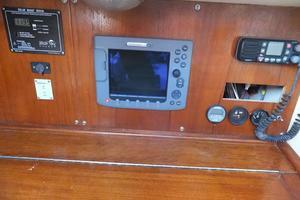 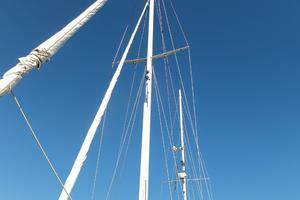 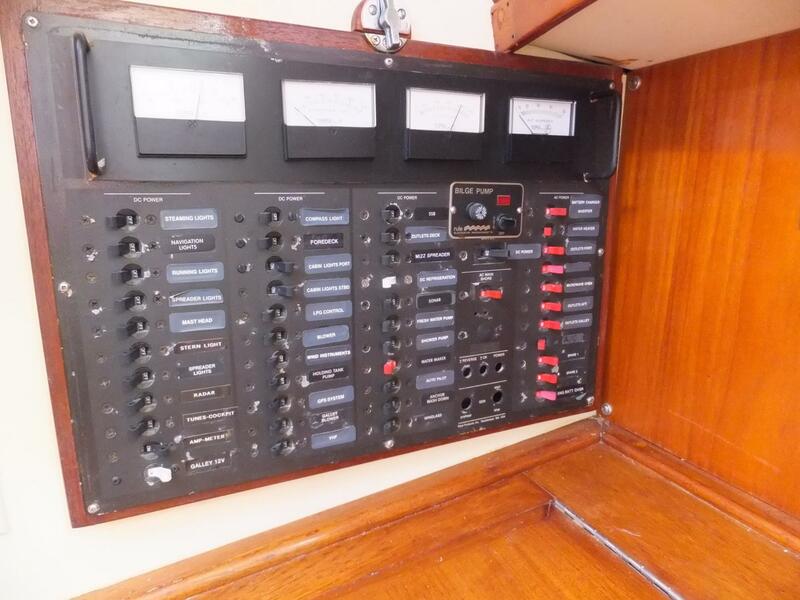 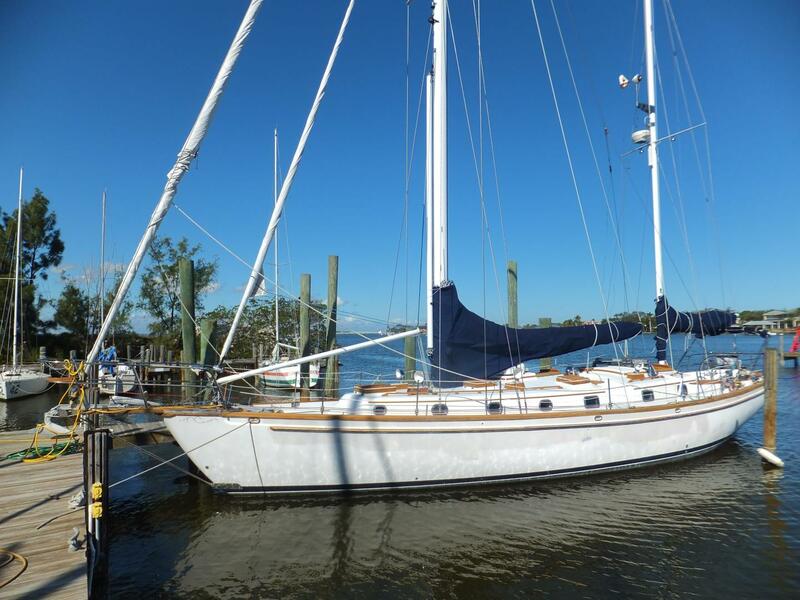 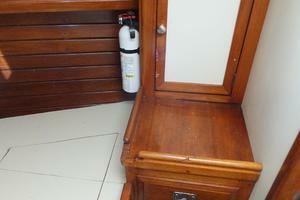 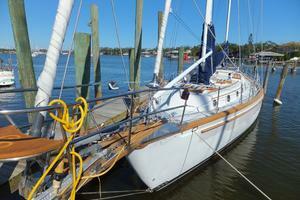 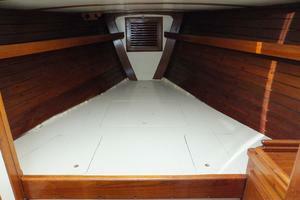 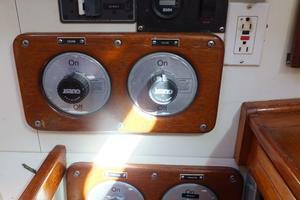 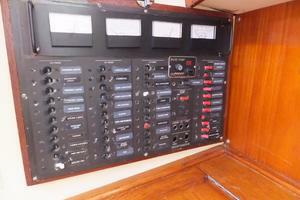 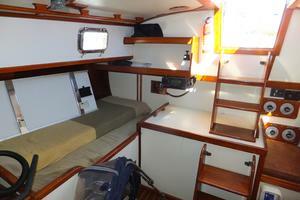 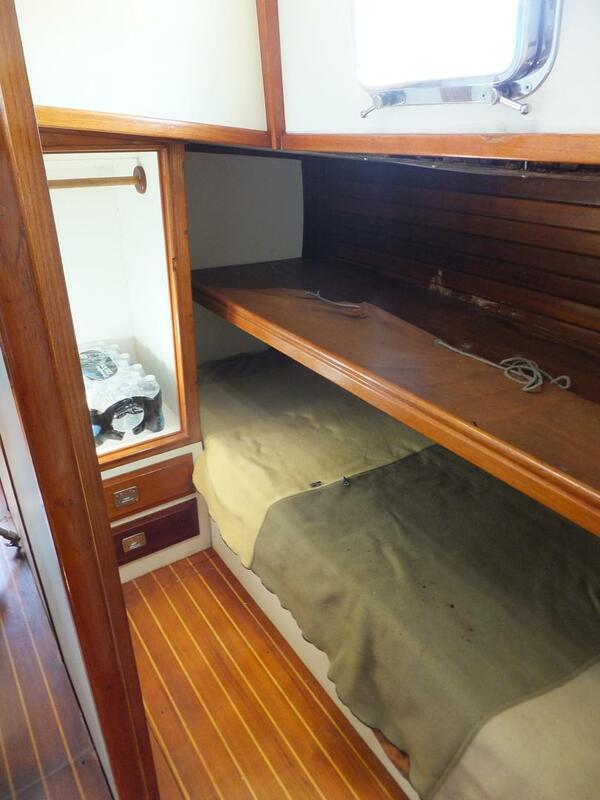 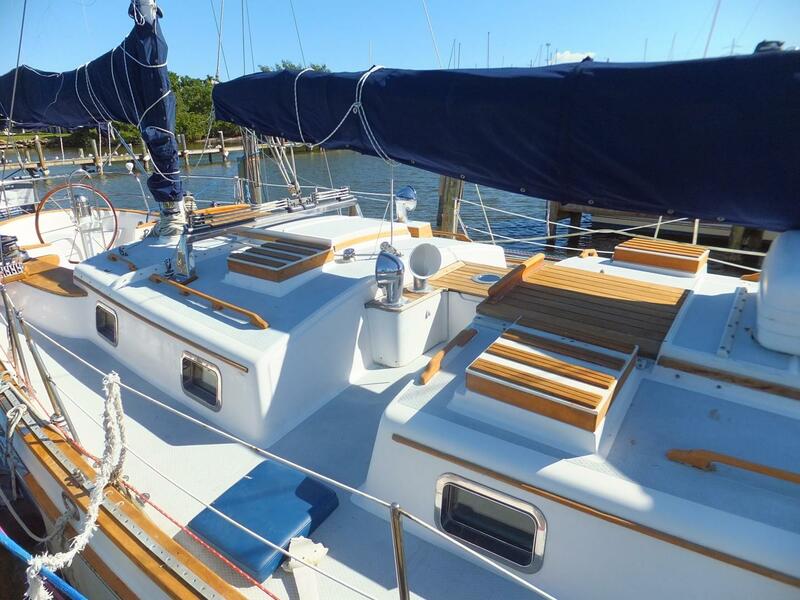 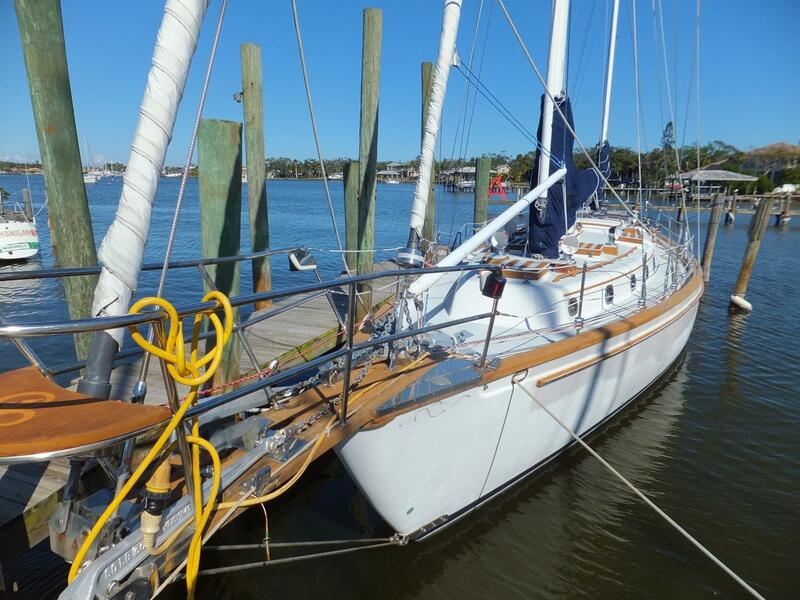 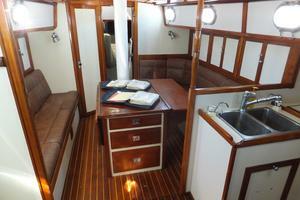 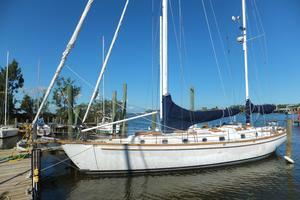 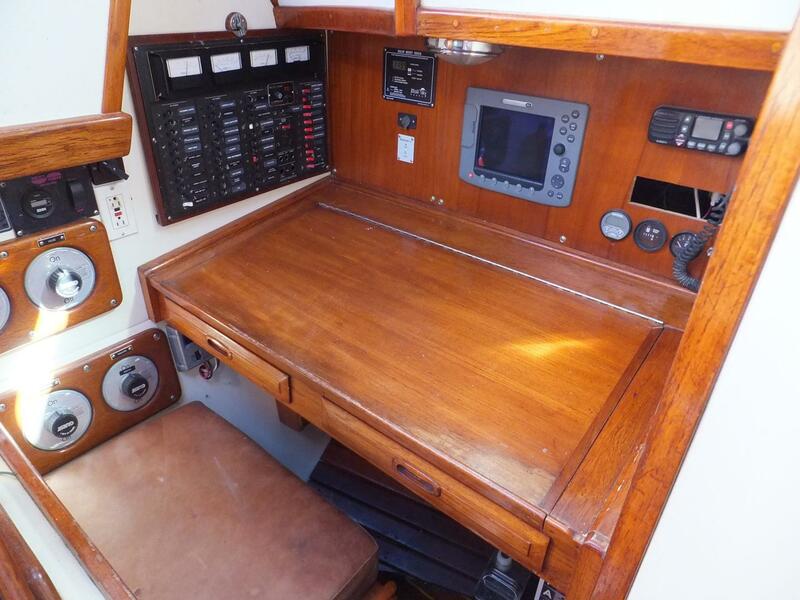 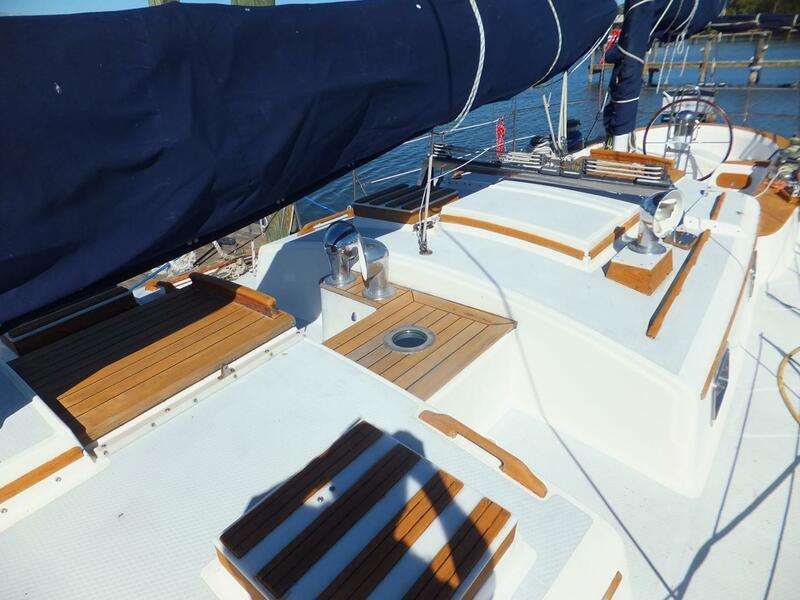 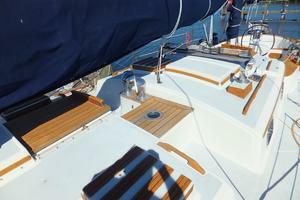 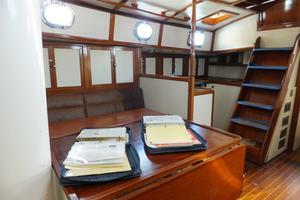 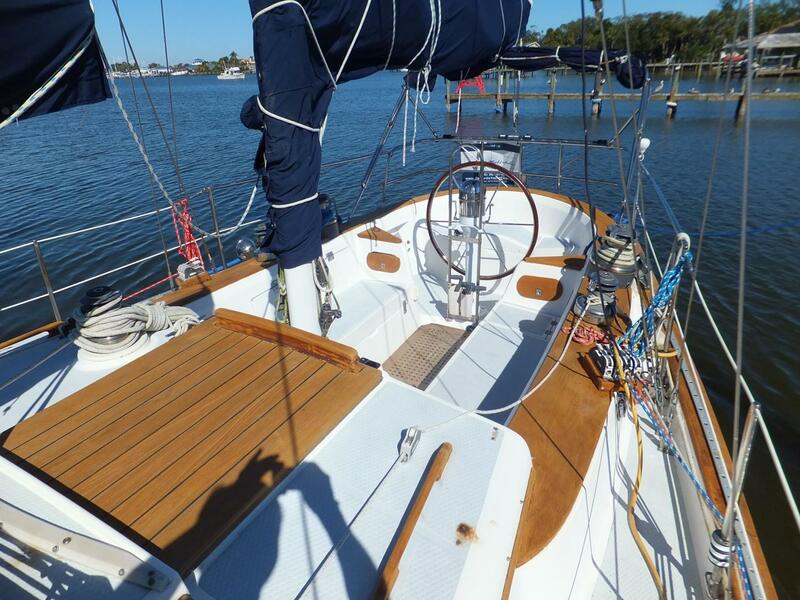 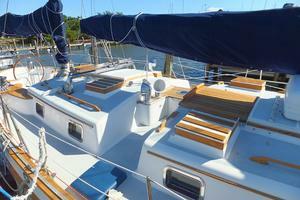 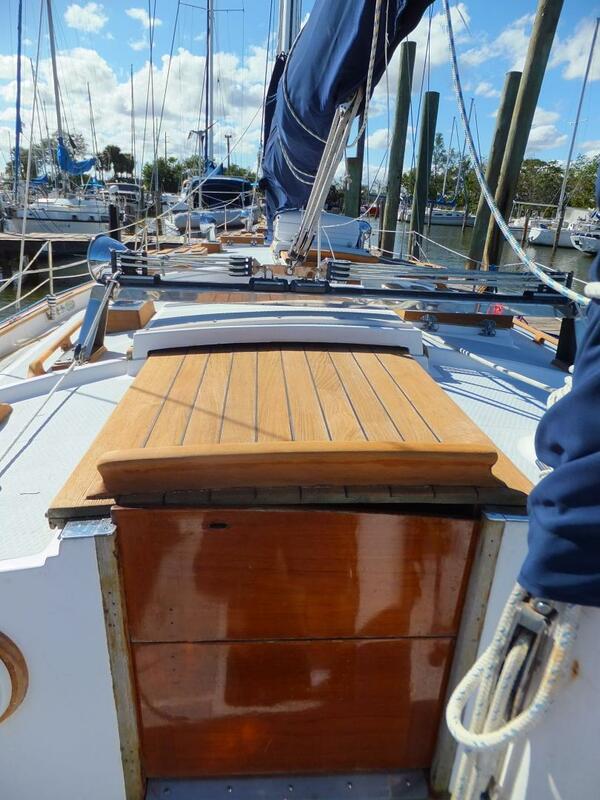 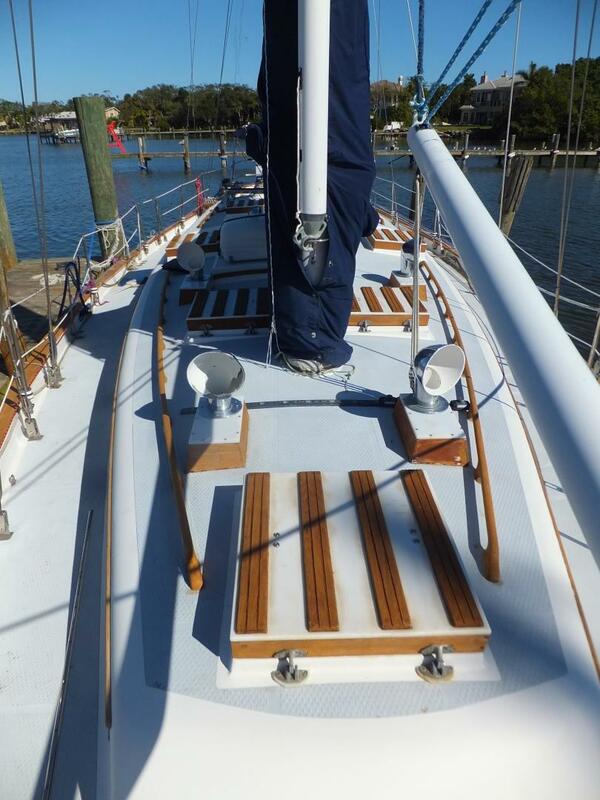 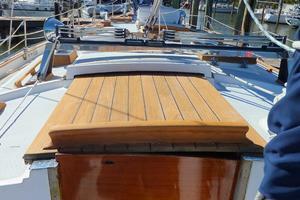 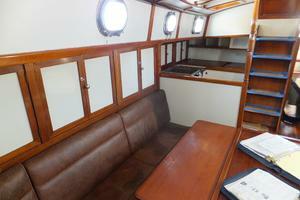 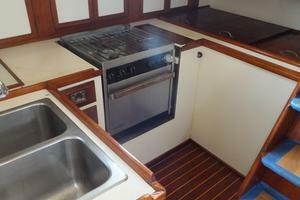 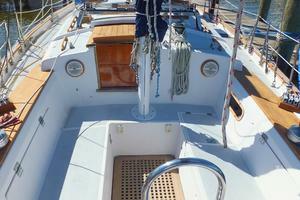 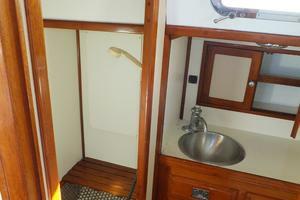 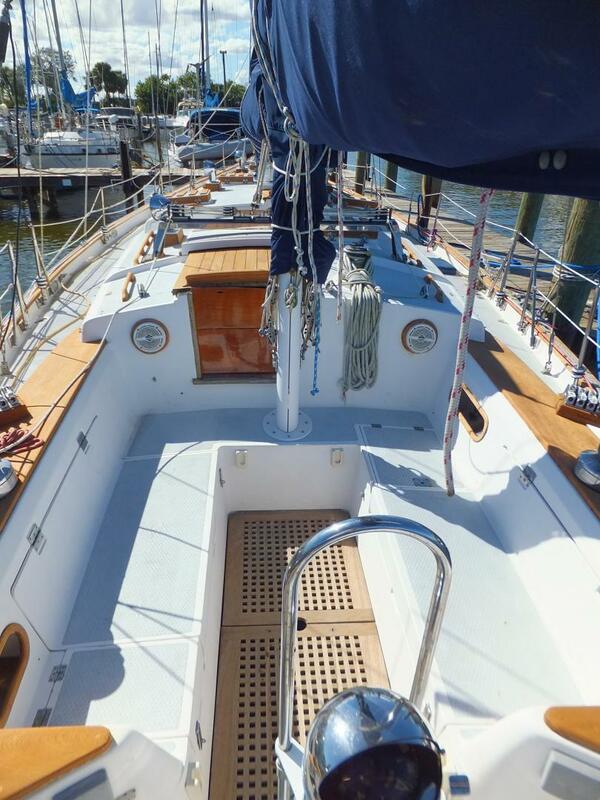 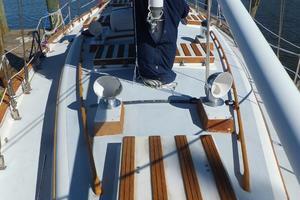 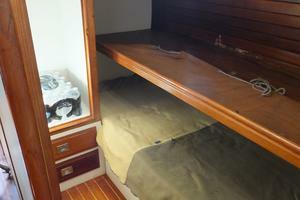 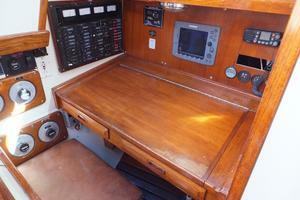 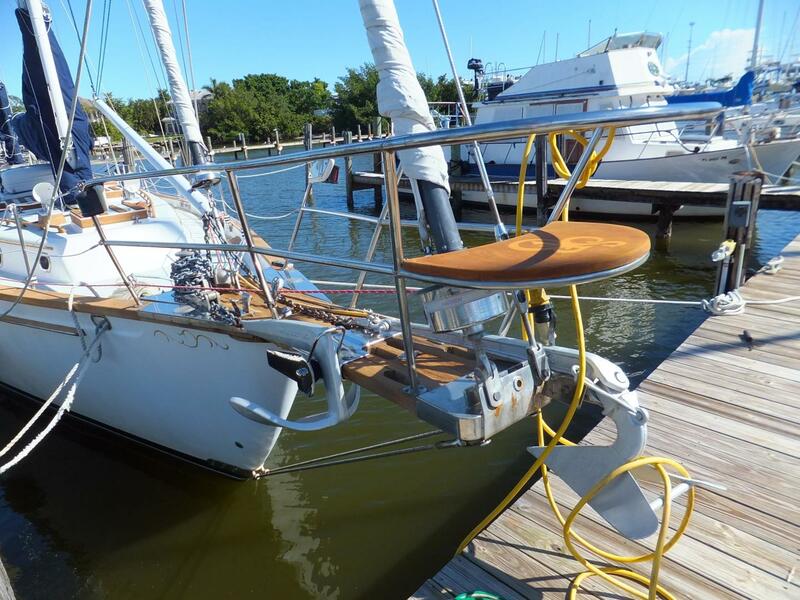 She is a sturdy, well equipped bluewater cruising Ketch. 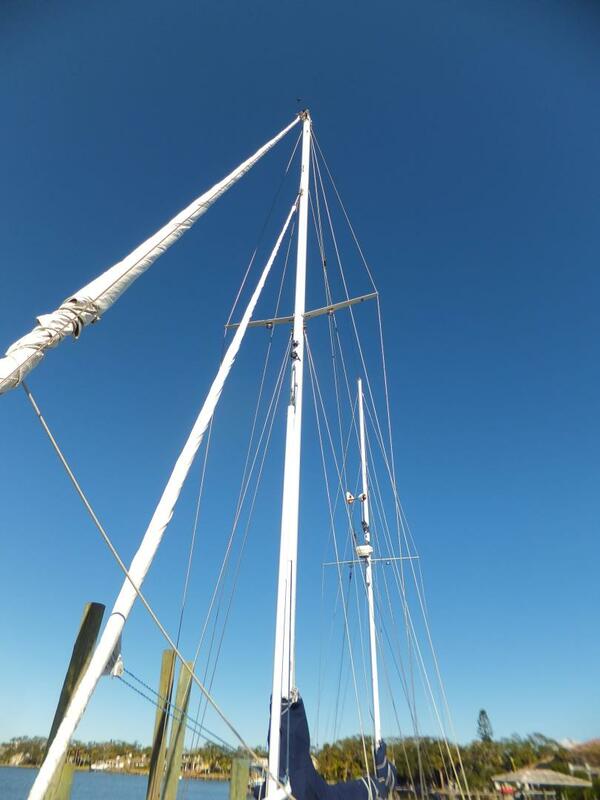 She will carry her new owners far and wide, safely.